On an afternoon visiting a friend she took me to her favorite bakery. A small, cheap bakery where you grab a tray and some tongs and put whatever baked goods you want onto the tray. I didn’t recognize anything I saw so I asked her for suggestions and grabbed whatever I thought was interesting looking. 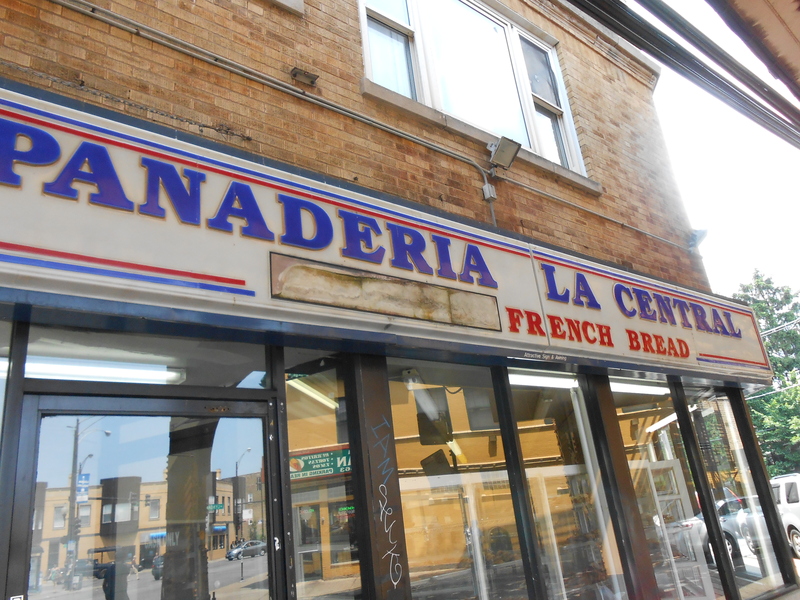 This bakery is located right off the blue line california stop. 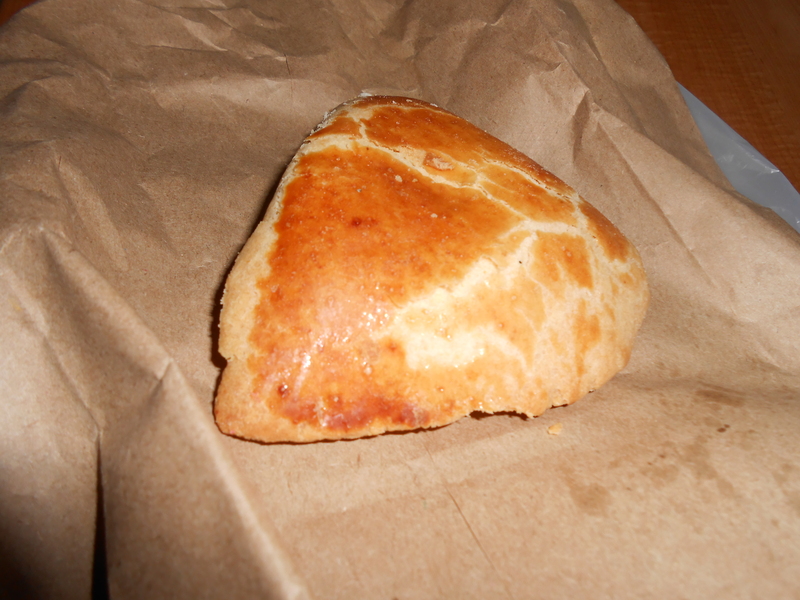 The first one I tried was a bit like a pie, it was filled with a pineapple gel. Out of all the ones I tried it was probably my favorite. 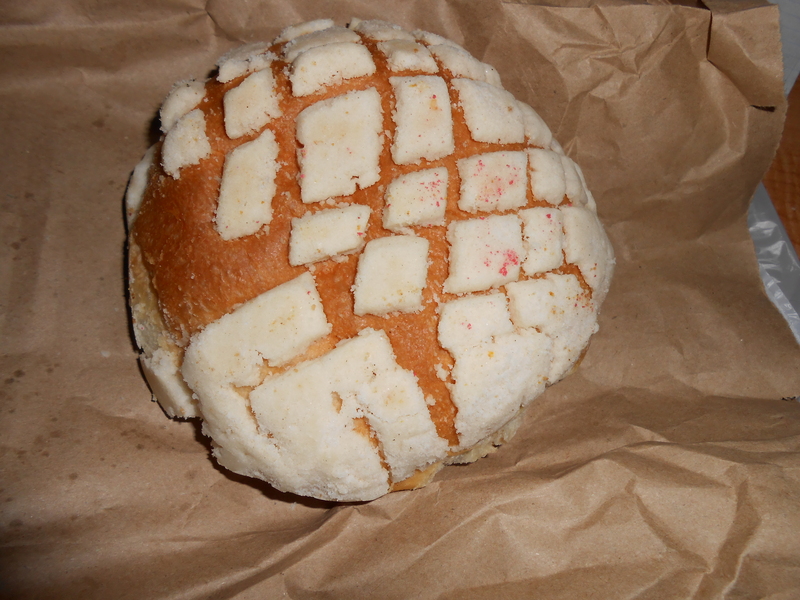 The second one I tried had a light icing on it, so light I wouldn’t even call it an icing. It isn’t very rich but it has a nice smooth quality to it. My friend told me it goes really well with coffee at breakfast. I found it to be very messy and subtly sweet. 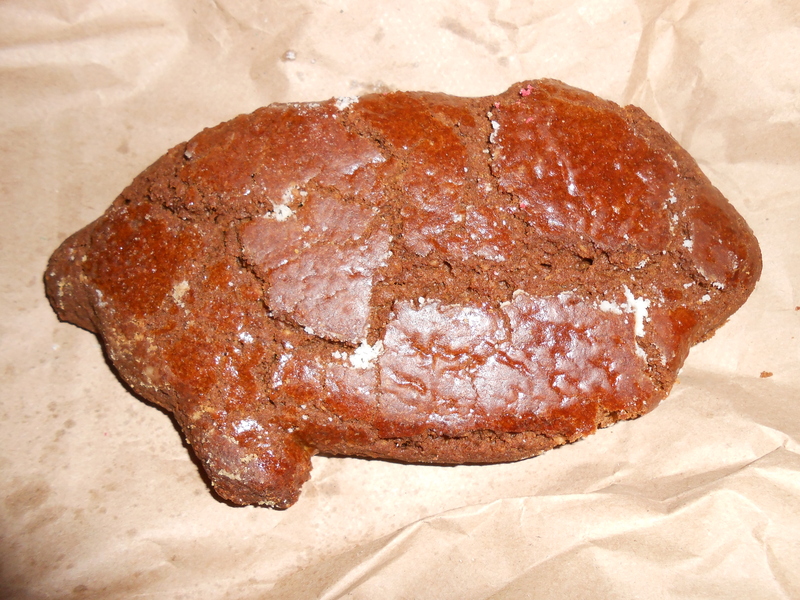 I was expecting a soft gingerbread or molasses cookie with this little pig shaped cookie. (It’s other leg broke off) It has a molasses taste to it, but it also had a dry bitter almost burnt taste. 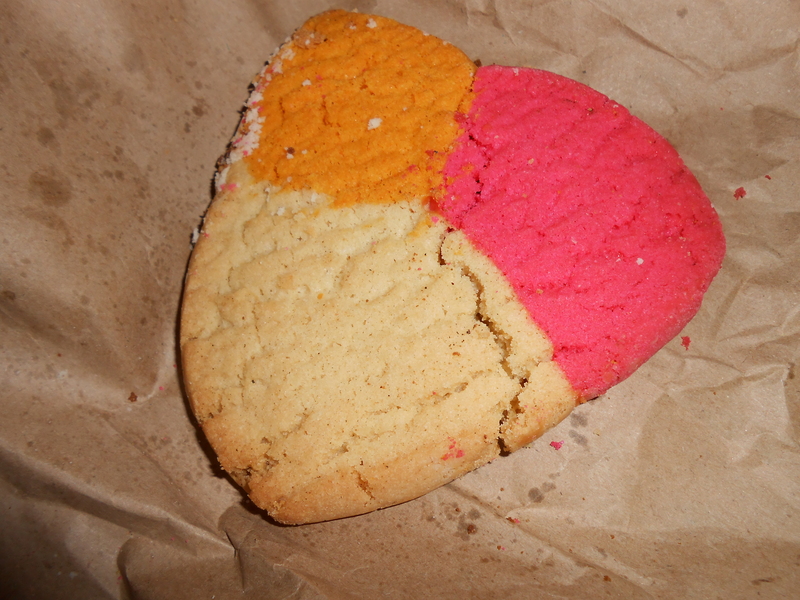 I thought this cookie had a nice shortbread cookie taste to it. It was lightly sweet with a dry after taste and I thought it would go great with tea.